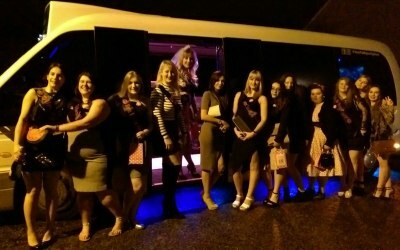 Ultimate experience in our 15 & 16 seated Limousine Party Bus based in North Suffolk covering all of East Anglia. 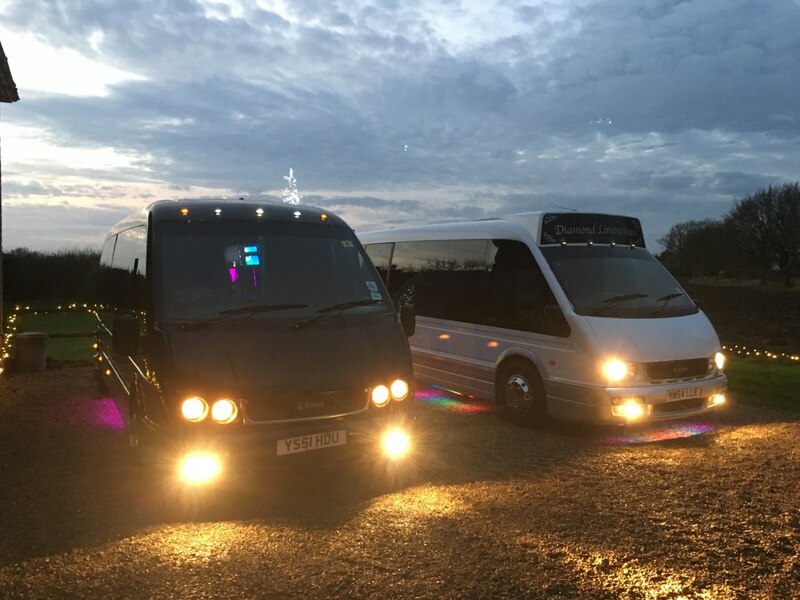 Why not hire one of our 15 & 16 seated Limo Party Buses next big thing to hit East Anglia, these amazing vehicles offer the latest trend in luxury travel. The roomy interiors are designed with everything you need to start the party. 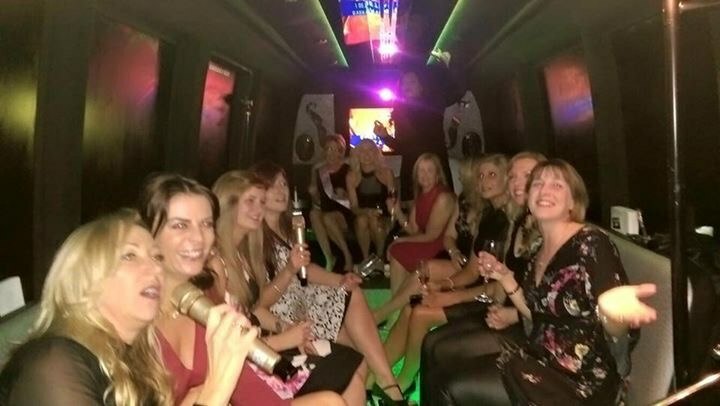 They maintain the same high standards that you would expect in a stretch limousine. 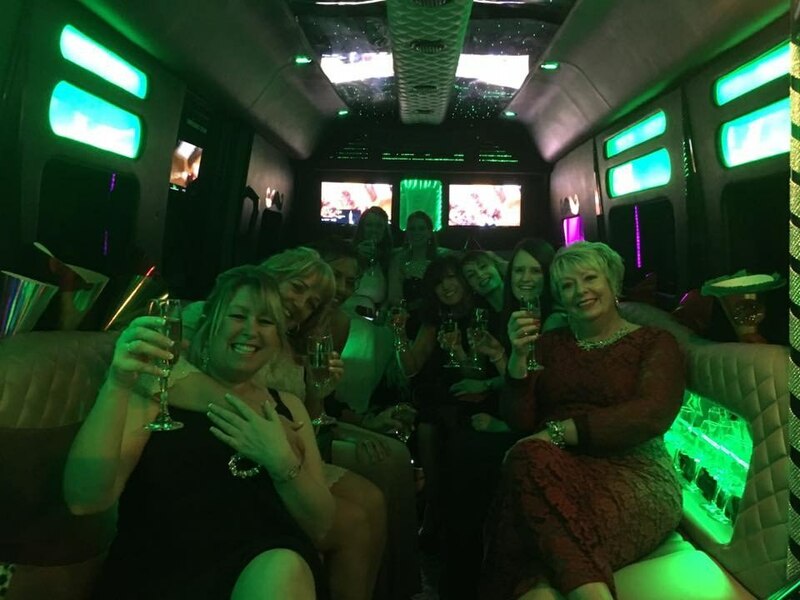 The Limo Bus has an abundance amount of room in order to move around as well as comfortable seating. With our spectacular sound system you can choose the style of music and lighting that will give the perfect environment for any occasion. From the multi-coloured lasers to the 3 LED TV's, the modern design throughout will amaze your party. 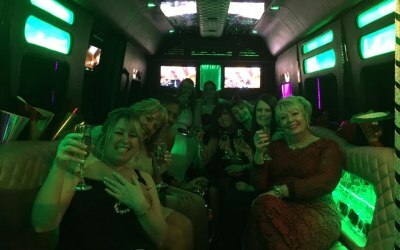 Our Limo Bus offers privacy glass, mini bar with chilled champers and even a karaoke system, so whatever the occasion, wether it's Birthdays, Anniversaries, Race days, Parties, Executive Corporate Transport, Weddings (with all the trimmings), Hen/Stag Parties, even Holiday Transfers.....if you need to arrive in style our Limo Buses will cater for any occasion and make it special. We now have 2 new additions to our fleet a VW Beach Buggy and White BMW X6 both can seat up to 3 passengers and would be chauffeur driven - perfect for school proms and weddings. Thank you for the great review, it was a pleasure to meet and drive them all. Very helpful driver, great communication all the way through, the bus was great fun! We had a blast! However, I do think the £275 is quite a lot for 1 hour- but this does seem to be the going rate. Thank you for a fab time! 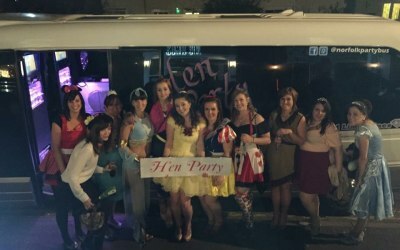 Hi Anna, thank you for the review it was much appreciated, thank you also for your feedback on the pricing, unfortunately as you mentioned this is the going rate for a 16 seater Party Bus. 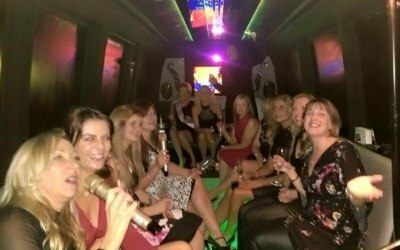 What may have not helped your time onboard is that you had pre organised a stripper which would have taken up some of your hour hire. Thanks again for booking with us. 5* for service and quality ! Richard was very helpful on the run up to the day as I asked to change the time of the pick up and wasn't a problem at all, the driver on the day was class and again very helpful. Will definately be reccomending diamond limousines to anyone thinking of using a party bus !! Thank you very much for the fantastic review, pleased you all had a great time. Great service, Vinnie was superb! Diamond limousines were fantastic and i would use them again. Our driver Vinnie was great and was extremely helpful. Thank you for the great review, it was a pleasure to have you onboard. We had a great time on the journey to Cambridge. Paul was fab and we all enjoyed the drinkies and karaoke! Thank you! The bus arrived on time and our driver was very welcoming! I'd recommend this for those who are looking for a way to get to Prom and other events. 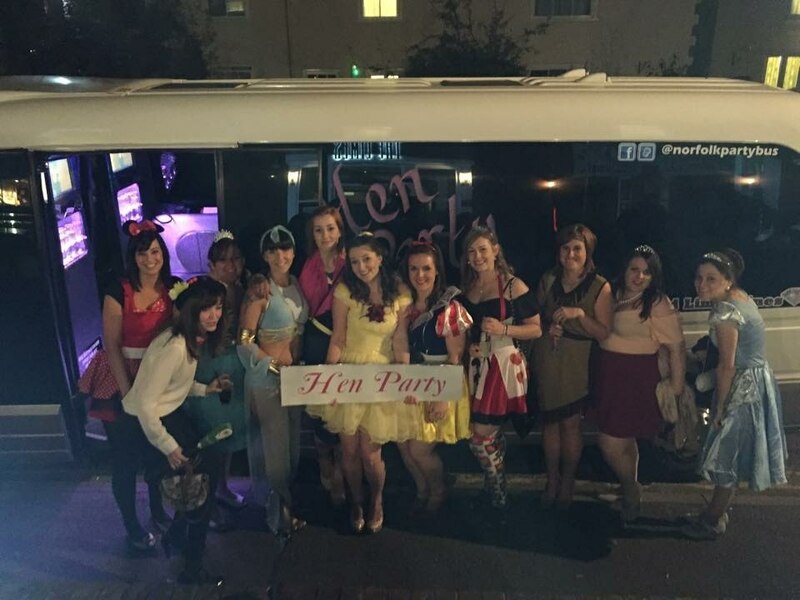 Fab Night, Having the party bus really made the night. Easy to book. Bus was on time and the driver was a star looking after us all. We would defiantly use them again. 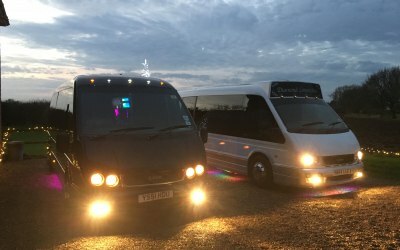 The bus arrived on time and the driver was very polite and courteous - would certainly recommend this company, and if I had the opportunity, I'd definitely use them again. The whole process was efficient, from booking to delivery - no hassle at all. Get quotes from Diamond Limousines and others within hours.